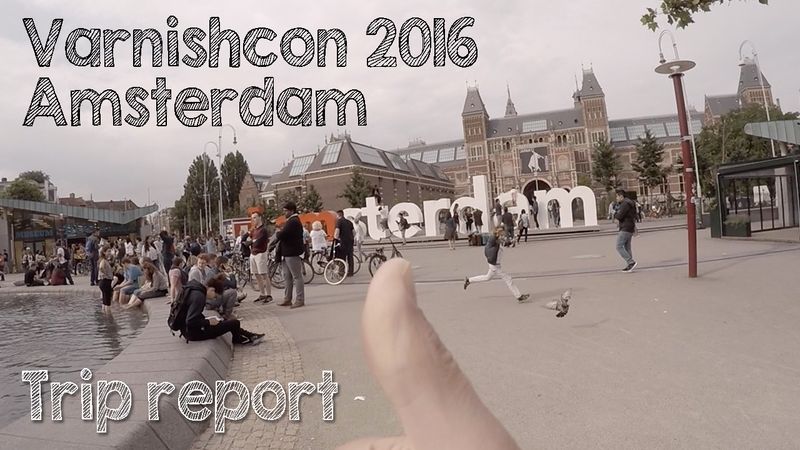 This trip report is all about Varnishcon 2016 in Amsterdam. I love conferences, both as a speaker and an attendee. And as you know, I’m an avid Varnish fan. I’ve done many Varnish presentations and I’ve written some blog posts on the subject. I can tell you I will be doing a lot more writing about Varnish. A couple of months ago, I had a long Skype call with my friend Ruben Romero, the community manager at Varnish Software. It was in the aftermath of the 10th Varnish User Group meeting that took place in Rotterdam. I did a presentation there that was targeted at web developers. Although the attendees loved the presentation, it didn’t teach them anything new. In fact, there was an audience mismatch. The Varnish community primarily consists of contributors and large companies using Varnish. Most people there are experts. Although it’s cool that this kind of audience attends the meetings, a user group meeting should have a broader audience of users. Maybe even novice users. Ruben and I talked about that and then Ruben told me he would organize Varnishcon, an event for the end user. I was completely sold on the idea and minutes later I was invited to do a Varnish tutorial aimed at web developers. Earlier this year I decided to create reports every time I go to a conference abroad. As mentioned, I did a 3-hour workshop at Varnishcon. It was aimed at web developers. I started from scratch, but kept a good pace. There’s also plenty of example code and exercises. I even built a custom Vagrant box. Go to https://github.com/thijsferyn/varnishtraining to get a hold of the code, the exercises and the VM. Just so you know, the event lasted for 2 days. The first day of Varnishcon was at The Hoxton. One of the most trendy and hip venues I’ve ever come across. 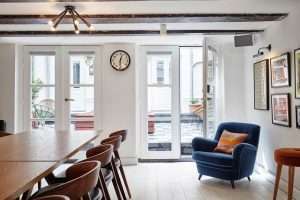 The meeting area looked like a house with a kitchen, a patio, a library and a living room. My room was the living room where I did my 3-hour workshop. The style and the vibe of the room really was a confidence booster for me. The staff was great, the tech was also brilliant. There was fast wifi, a hug TV screen to present on and the food was awesome. I’d definitely recommend the Hoxton. The second day of the event was held at the Playing Circle in the Cristofori concert hall. 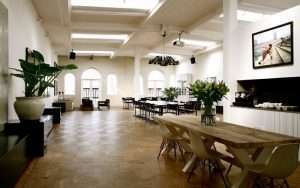 Again a great venue, very trendy, excellent food, great staff. This was where the actual conference was happening. We were at the 5th floor of the venue with a great view on the Amsterdam canals. Saw an awesome talk about the usage of Varnish at WikiPedia. I saw a great keynote by Poul-Henning Kamp, the Chief Architect of Varnish about “The state of the union of Varnish”. The Varnish community really needed a Varnishcon. I’m glad to see that the actual end-users made it to the event. I’m sure there will be lots of feedback that the core team can use to make Varnish even better. We need more events like this and I’d like to thank Ruben for setting it up. See you next year! … I hope.